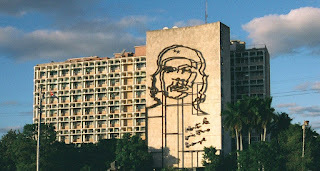 The image above, which was taken by Paul Jackson in 2001, shows the mural sculpture of Che Guevara in the Plaza de la Revolución in the Cuban capital of Havana. It is based on a black-and-white picture taken by newspaper photographer Alberto Korda: just one of many snaps he took at a rally in Havana in 1960. 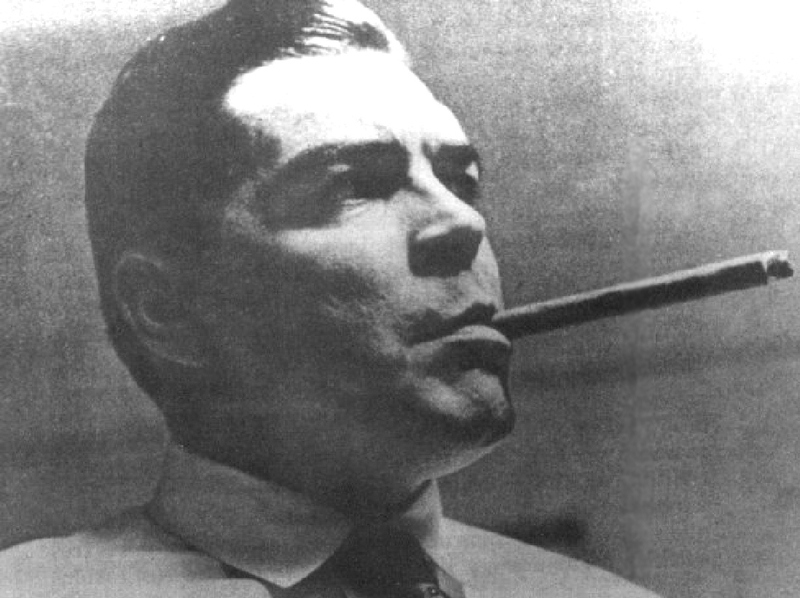 Amongst many other public figures, this was the only useable picture of Che, but Korda realized it was something special -- and worthy of more than an ephemeral place in a newspaper report. He called the picture Guerrillero Heroico, and it is the most reproduced image in the history of photography. In 2006, I went to an exhibition in London entitled Che Guevara: Revolutionary and Icon. Because Che is such an important historical figure, you might guess the exhibition took place at the British Museum, but it didn’t. Because Korda’s photograph is one of the most instantly recognizable portraits in history, you might think the exhibition was at the National Portrait Gallery, but it wasn’t there either. It was at the Victoria and Albert Museum, which is London’s premier museum for the decorative arts and design. Besides being one of history’s most famous Marxist revolutionaries and freedom fighters, Che Guevara has – in opposition to everything people normally associate with Marxist revolutionaries and freedom fighters – become one of the world’s greatest style icons. A paradoxical thing about having one of the most instantly recognisable faces in the world is that, if you want to adopt an impenetrable disguise, all you have to do is shave and get a haircut! That’s exactly what Che did when he adopted the fake identity of Adolfo Mena González during his ill-fated mission to Bolivia in 1966. The picture below may not look much like Che Guevara, but it can’t hide the fact that he was an extraordinarily photogenic individual! I recently gave away a Che t-shirt after concluding that a guy in his late 30s probably shouldn't be wearing it. 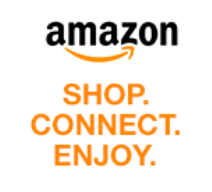 It must be a transitional point towards window-shopping for slippers. Thanks - I thought this might be a subject that would appeal to you. I did a bit of research on Wikipedia, but didn't get as far as tattoos! Do an image search for Cher Guevara. Go ahead. You know you want to.